Happy Humpday everyone! We are half way through the week and that much closer to my weekend getaway with my sister! 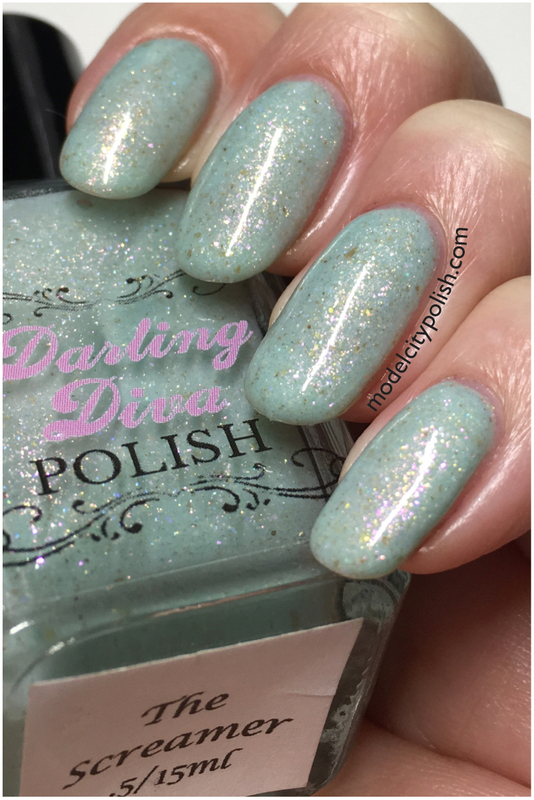 Today I have some lovely lacquers from Darling Diva to share. 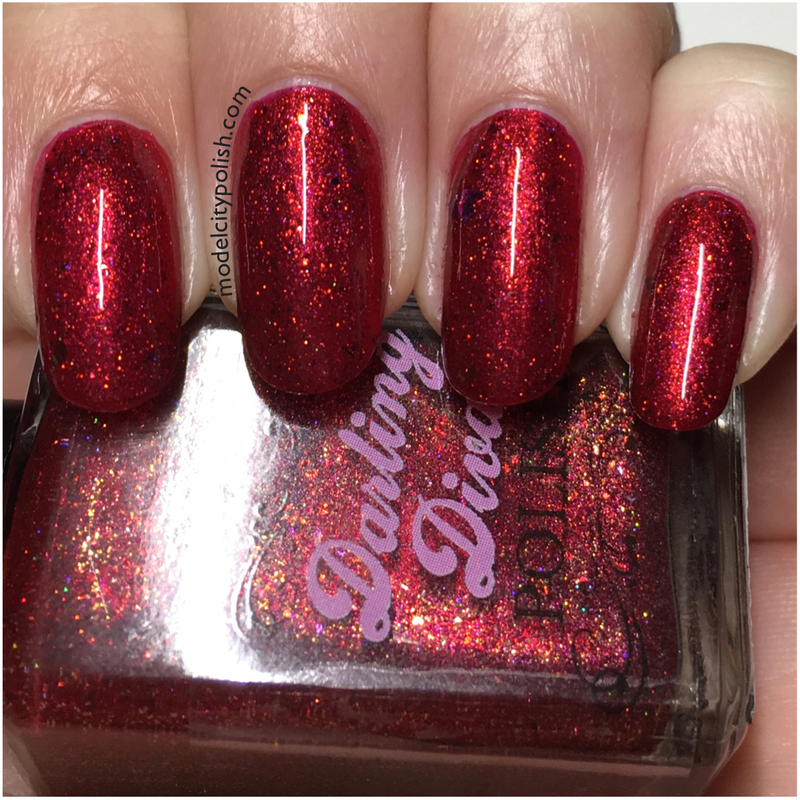 While attending Cocktails & Colors this year I had the great pleasure of seeing Carrie from Darling Diva and checking out her new Watch Your Pack Collection. This is a lovely 8 piece collection inspired by the Teen Wolf series. Carrie was super awesome and sent me home with two of the shades to show you guys. First up The Alpha. 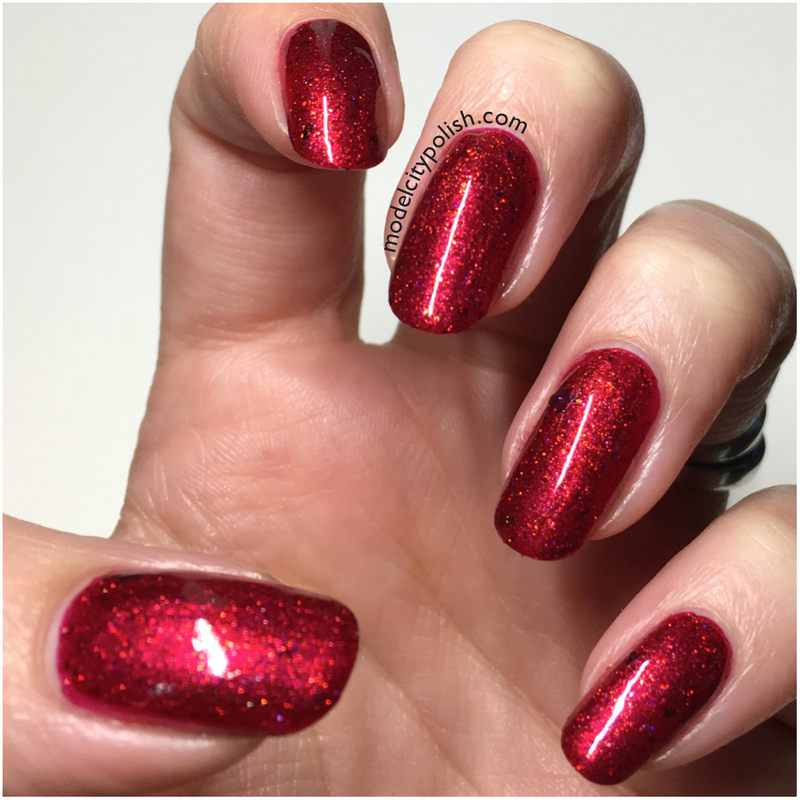 This is a deep red shimmer lacquer with hints of gold holographic glitter and gold flakes. Application was super smooth and built to opacity with no issues. In my photos I am wearing two coats of The Alpha and one coat of clear. Next up we have The Screamer. 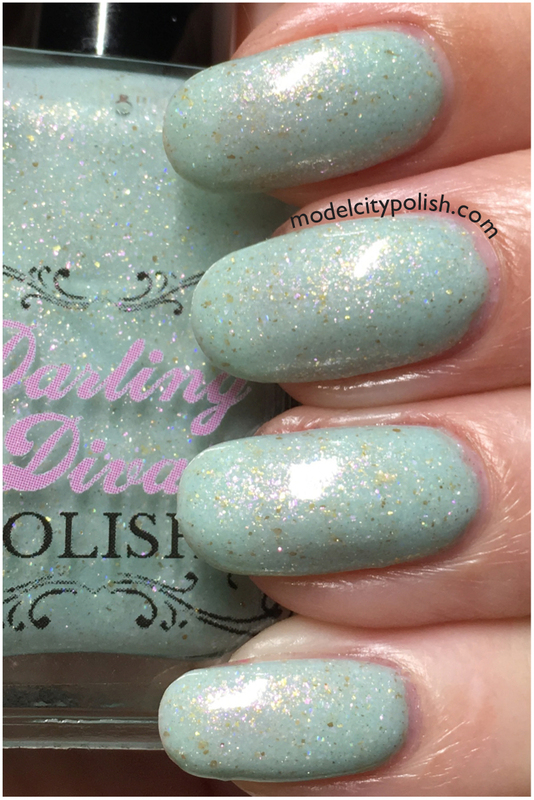 This is a gorgeous mint teal cruelly with purple and gold fleck shimmer. 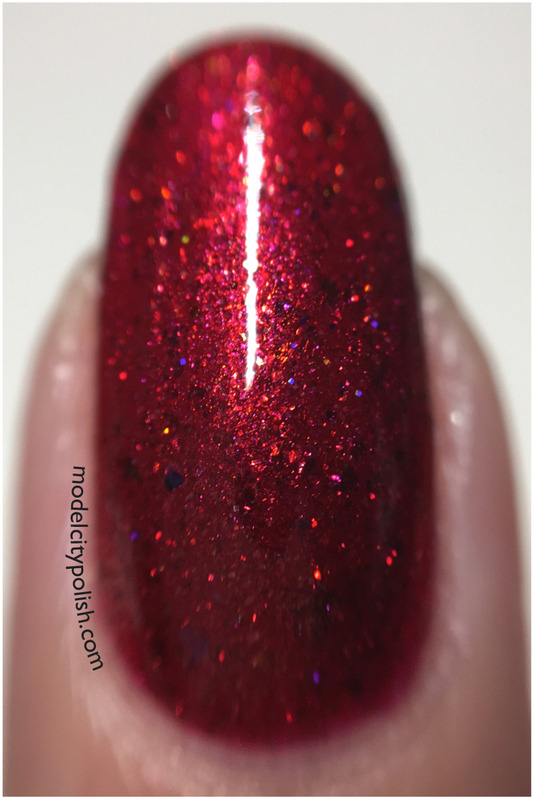 This lacquer is a bit sheer so you will need a few coat for full coverage but the extra coats are totally worth it. 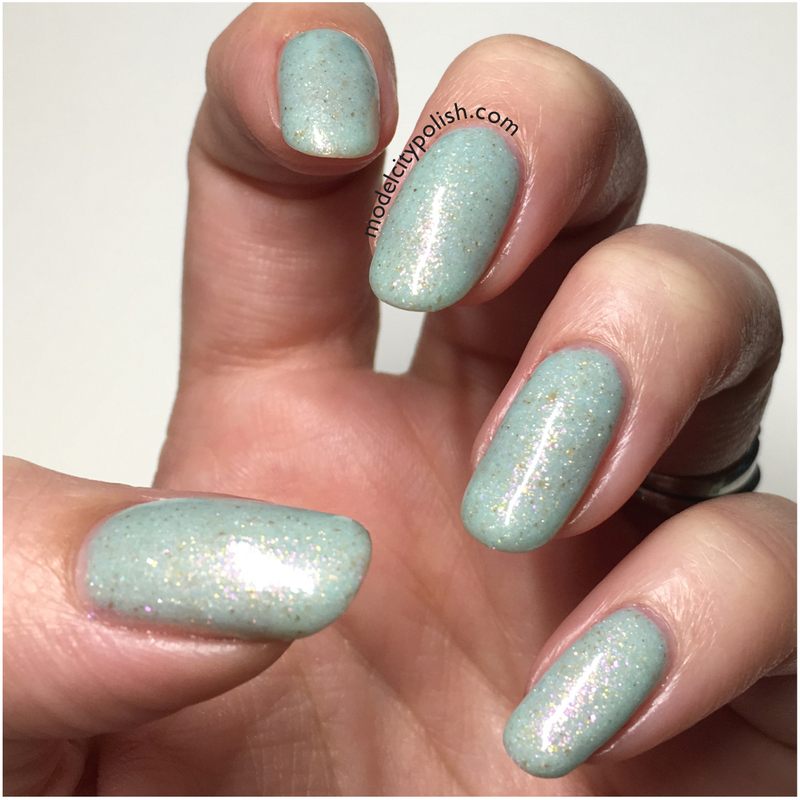 In my photos I am wearing three coats of The Screamer and one coat of clear. 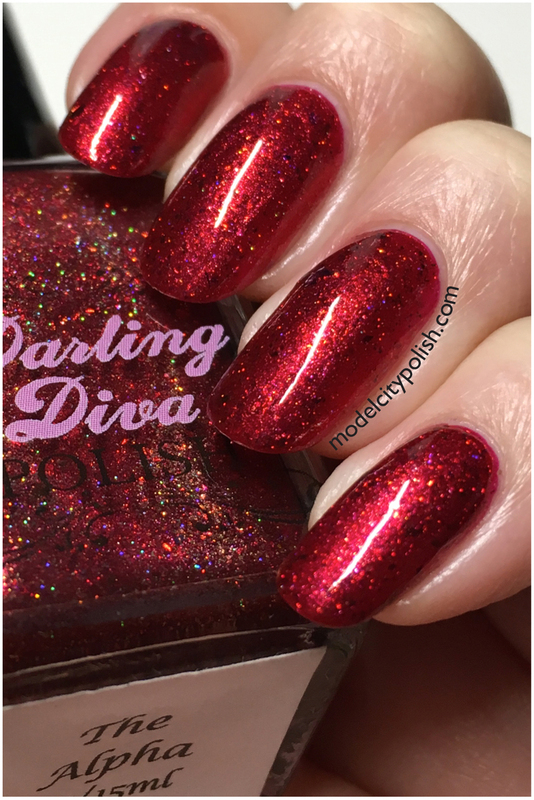 So have you checked out the new Watch Your Pack Collection by Darling Diva? Super gorgeous lacquers inspired by an amazing series, how could you not love them? 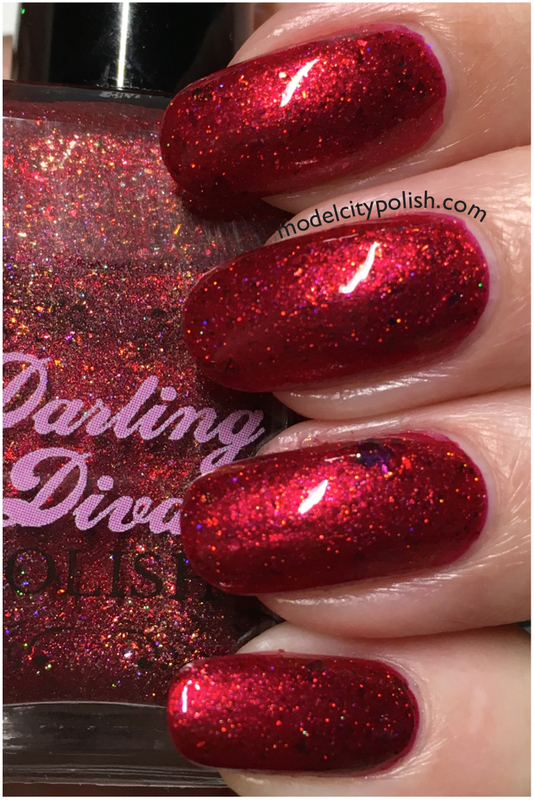 Please take a moment to check out all the amazing lacquers Darling Diva Polish has to offer and give them a follow on Facebook and Instagram for up to date info. Thank you so much for stopping by today and I will see you all again real soon. Hahahaha! What happened to the good ole days of waiting hours to see that one music video!!! Now it’s nothing but TV shows, I don’t even know if music videos still exist. lol! Wowzers!! That red is delicious! Ooh the Alpha is amazing. I need it! It is pretty stunning!!!! Would make a great addition to your collection! Wow, two very opposite colours but both equally striking! I love that these polishes are so different, yet BOTH soooo gorgeous! Beautiful swatches! The Alpha is sooooo beautiful!! It reminds me of Dorothy’s shoes in wizard of oz! It does have a Dorothy vibe!!! Good eye! Flawless swatches as always! I don’t watch Teen Wolf but I think I need these polishes!